No, I’m not whipping these cards up in 5 minutes. I got three done and am posting them at once 🙂 Then I will forge ahead! This is the card I made for Challenge #2: Texture. I LOVE adding texture to my cards. 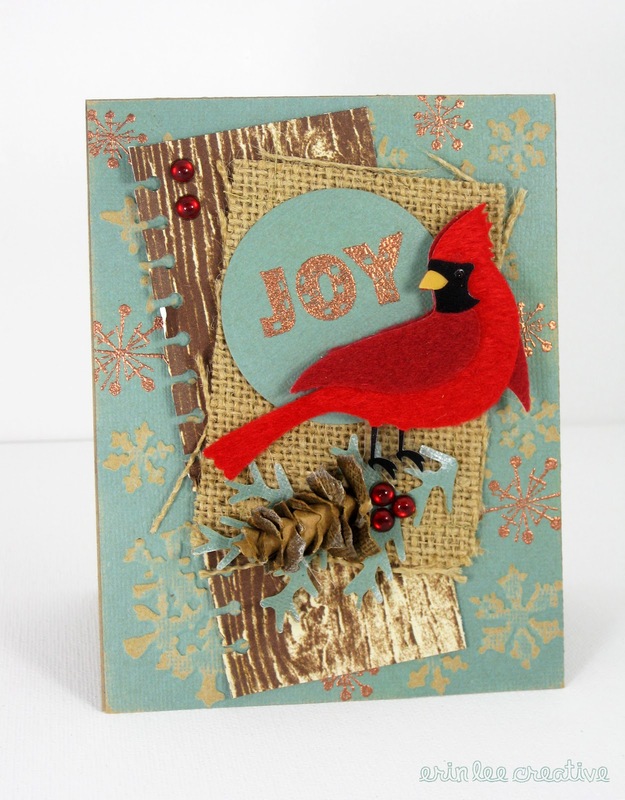 There’s a lot of Unity and Tim Holtz love on this one. I made the pinecone with Tim Holtz’s die. Love / hate with this thing, I tell you. Took me 20 minutes to make the darn pinecone. Ah well, it’s what I love to do.